England flanker James Haskell will captain Wasps for the 2014-15 season with the club also announcing he has signed a new deal. Haskell, who has 51 England caps, started his career at Wasps in 2002 but left to spend time with Stade Francais and at the Highlanders. He returned two years ago and has made 132 appearances in total and he is relishing the chance to skipper the side. "Wasps is so much a part of my life, having played here for nine seasons in total. I have a lot to thank the club's coaches and support staff for, in helping me to get back into the England set up last season," Haskell said. "I grew up supporting Wasps, which a lot of people don't realise. I have been a boyhood fan since I was 12. I had the privilege of learning from icons of the game here, like Lawrence Dallaglio, Joe Worsley and Paul Volley, and it is a huge privilege to now be in a position to lead the club. "The squad is the most competitive it has been in years, with a number of internationals arriving, as well as exciting young lads who are keen to make an impact. We are back at the top table of Europe after last season's win in Paris and we are benefiting from financial stability off the field. It really feels like Wasps is back and ready to achieve what we all know this team can." Wasps coach Dai Young paid tribute to Haskell, saying: "I am delighted that James has decided to extend his contract. It is an indication of the positive direction the club is moving in that players of his calibre and international experience are keen be a part of what we're working hard to build. "I was really impressed with James' performances last year. The first season he returned to the club will have been frustrating for him as he had to carefully manage his return from a knee injury, but I thought last season he was absolutely outstanding. He was back on top of his game and performing consistently at the highest level. "He has also demonstrated how much of a team player he is, and he is a good role model around the club and on the pitch. James shows real leadership qualities within the squad and we believe he will be an excellent captain." 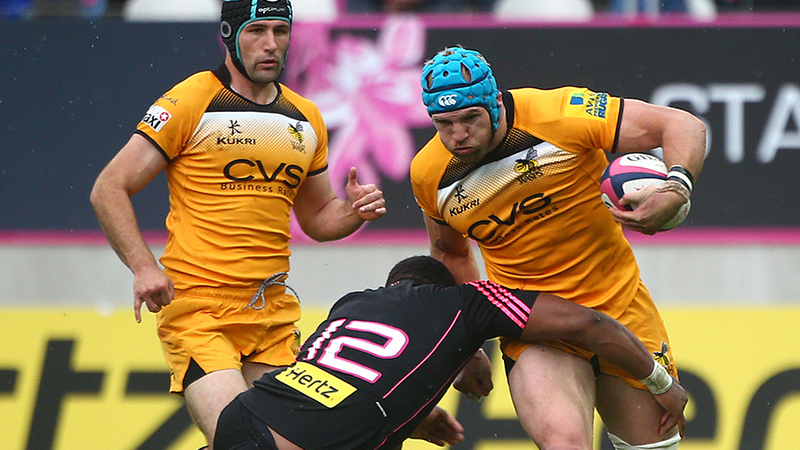 Wasps will have two vice-captains with Matt Mullan and Chris Bell taking on the dual role. Congrats to @jameshaskell on being named @WaspsRugby captain and signing a new deal, hopefully now he'll get his terry teeth sorted! !